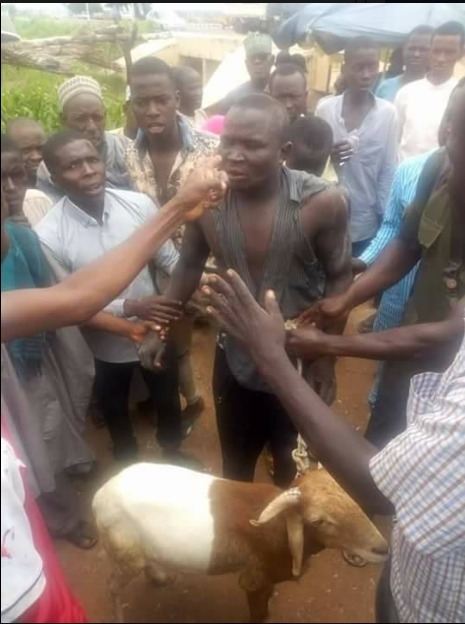 A suspected thief was apprehended while trying to sell a stolen ram at a market in Yola, Adamawa state capital. 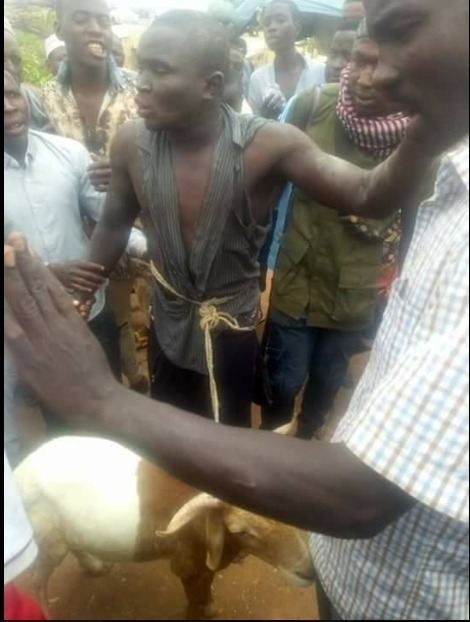 According to reports, the young man who is allegedly notorious for stealing – was trailed to the market yesterday where he was nabbed while attempting the sell the ram for the Sallah celebration today. He was humiliated by the mob who tied the stolen ram round his body after an alarm was raised before he was transported in a tricycle to the police station. Here are pictures showing how it went down. 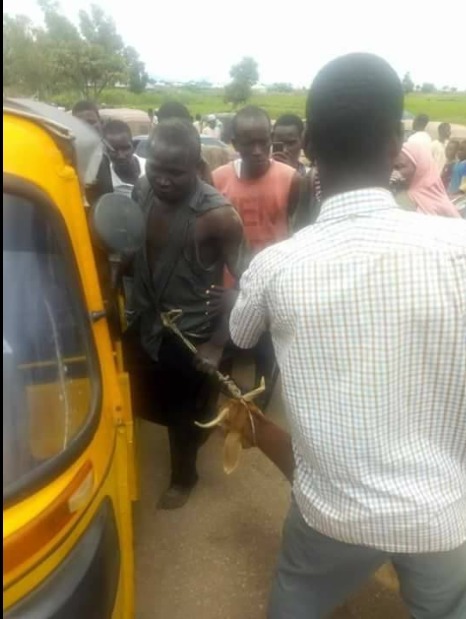 0 Response to "Photos: Notorious Thief Nabbed While Trying To Sell Stolen Ram For Sallah"